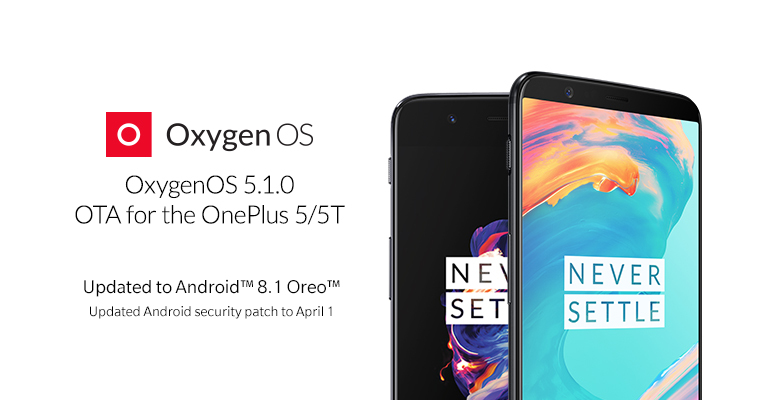 For those of you OnePlus 5 and OnePlus 5T owners who prefer to stay on stable releases of OxygenOS, we have some good news for you. OnePlus is now officially rolling out the stable OxygenOS 5.1.0 update for the two devices. The highlights of the update are that it officially brings Android 8.1 Oreo to the devices with the latest April security patches. The 5T also gains support for the new iPhone X style gestures that were previously only in the Open Beta program. Gaming mode has also received the new network priority feature and the OnePlus Launcher now categorizes tags in the app drawer to make it easier for you to find apps. The biggest change is obviously the version bump to Android 8.1 Oreo. On the surface, the Oreo Maintenance Release doesn’t have a lot to offer over 8.0 Oreo. Netflix supports picture-in-picture mode on 8.1 only, for instance. Other 8.1 features such as the dynamic theme switching aren’t included in this release because OxygenOS already has a built-in dark theme to offer. Android 8.1 adds support for the Neural Networks API (NNAPI) so eventually, apps taking advantage of this API will spring up so you can use them on the 5/5T. The new navigation gesture support (called “full-screen gestures”) were added to Open Beta 3 for the OnePlus 5T, so if you’re curious how it works you can find more details and a video here. Details on the April Security Patch can be found here, in case you’re interested. OnePlus is generally pretty good at faithfully patching their devices judging by a recent report, so you shouldn’t have to worry about your device being insecure anymore. We have posted the links to directly download the full OTAs for each device. Keep in mind that these are fairly large files since they aren’t incremental patches. You can use these to update your device if you would rather not wait for the update to roll out in your region.